This week I indulged in pasta. I stayed a few days with my grandmother and we always have a good time. It started with a little wine on Saturday, then progressed to a little homemade mashed potatoes and chicken noodle soup on Sunday, followed up by a very delicious dinner made by Casa –a local favorite. Last night before weigh-in, I tried another wonderful Italian dish from Oley’s Pizza. It was a Chicago style deep dish pizza. It was not as good as Giordano’s, but it was the better option here in town. In my mind…I just kept thinking as if on repeat…discipline yourself, my child. 1. Eating out can be lethal if you don’t exercise portion control and proper logic. Hold the extra sauce. Hold the extra cheese. With each and every one of those meals aforementioned, I was utilizing portion control with every single sitting. 2. Exercising makes a huge difference. I can tell when I need to just go on a walk or when I need to burn off some added energy. This week I made a valid effort to walk, even though my decent workouts cease to exist. 3. Cleaning, lifting objects, and walking away from the desk are wonderful ways to keep your strength muscle wise. It wasn’t ideal workouts, but it was better than plopping at my desk sedimentary all day long. 5. Blessings come in all forms, keep your eyes open and the opportunities will present themselves. I stepped out of the salon and despite my situation still was presented with a class and a day long event. Perfect timing. I went on an impromptu walk with my sister. It was lovely. I spent some much-needed quiet time with my grandmother. Our talks were precious. Check out my surprising results for week 8! This week fed my body and soul. I am so grateful as this week I found peace among this challenge which has not been easy. Week 8: height 4’8″; weight 100.0 lbs. Hi! 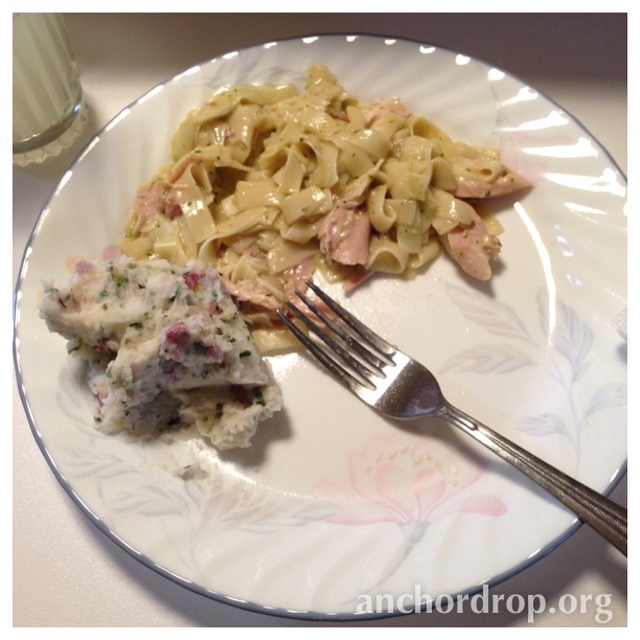 I am Megan and I am so excited to be a new contributor to the Anchor Drop Blog! So I want to start by giving you a little background on myself. I am stay at home mom and Navy wife in sunny San Diego. Steven and I have been married 6 years and have 3 kids. Mady is 4, Brynn is 3 and Hank is 10 months. I am from Indiana and Steven is from South Carolina, so we live far from our family, but have been extremely fortunate to make amazing friends both through the Navy and through church. Okay so those are some basics. 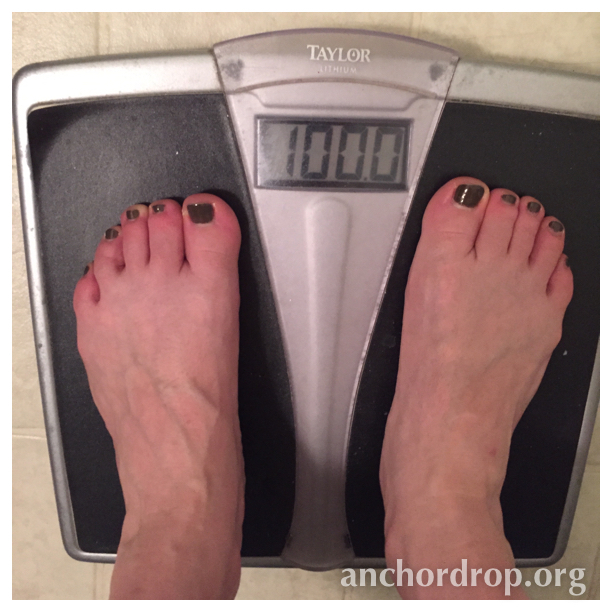 But I want to tell you about a new challenge I am taking on….Half Marathon training. So I feel I owe you a little back story on this. About 2.5 years ago I decided it was finally time to take control of my life and shed some weight. I had been overweight and obese for most of my life and at the time weighed 280lbs. Over the course of 13 months I was able to lose 115lbs. I went with a very basic and effective route to weight loss. Eat fewer calories, but better for you food and workout. Thankfully I was able to keep this up when I got pregnant with our third child. I worked out almost right to the end and while I gained 35lbs, I was able to shed most of it quickly after having Hank. Unfortunately I admit to having fallen back into some bad habits I had before losing weight. Too many sweets and not enough fruits and veggies. So I put about 10lbs back on. I realized I needed motivation, I needed a goal. I began jogging on and off before I got pregnant and have done some jogging since then as well. I have a love/hate relationship with it. I am not fast. I get tired very quickly. It seems to just keep going and going. But it is so wonderful to get out. And I feel extremely accomplished after a run. So a friend of mine posted about the Tinkerbell Half Marathon at Disneyland in May 2015. I couldn’t resist looking into it. I kept feeling pulled toward it, despite the fact it is 13.1 miles. So I decided I would ask my dad and if he was up for it, I would be too. And he said yes!! So here I am searching training plans and trying to figure out how I am going to run for so long!! I met my friend Megan in high school, but it wasn’t until freshman year at IU when I moved in across the hall from her and Emily that they then became 2 of my best friends. I was the annoying across the hall neighbor who woke up far too early in the morning without an alarm. Years later they told me they would lock the door and pretend to still be sleeping so I couldn’t bother them. I remember the day many years ago when Megan called me and said “Erica I need to get healthier.” It was this day I noticed a change in her attitude about her health, and this day I believe is the beginning of an incredible journey in her life that brought her to this point. At this point she was a new navy wife which brings on all sorts of stress and trials. She was also at her heaviest non pregnant weight. Shortly after this phone call she found out she was pregnant. While she couldn’t start to make extreme changes at this point, her view on health started to change here. Shortly after Meg found out she was pregnant, her incredible husband Steven left for deployment. The strength and courage Megan has amazes me. They had their sweet little girl Mady. After Mady was born Meg started again to focus on losing weight and being healthier… then came pregnancy number 2 and sweet Brynn! 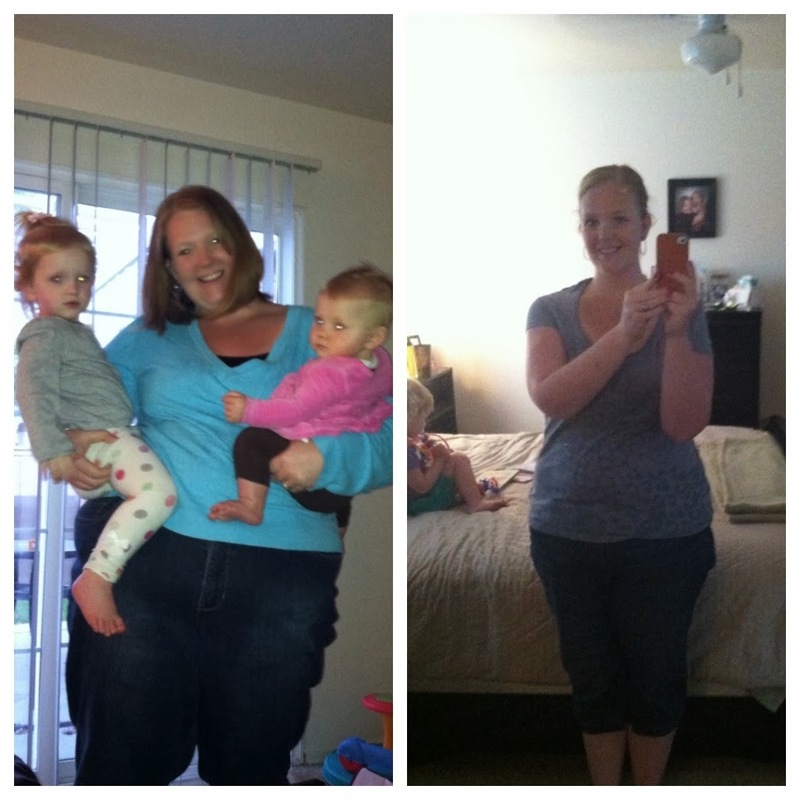 As you can see, Megan’s weight loss story was exactly a straight and narrow path but had many detours… 2 pregnancies, deployments, and 2 children at one point under the age of 2. You could understand why after the 2nd pregnancy Megan could have easily given up, but she didn’t. Don’t get me wrong though, every morning when my alarm goes off at 5:10am I think of excuses. I am tired. I am sore from yesterday. I just need a little extra sleep. And some days I give into those excuses. Those are usually the days I struggle with having energy. I tend to be shorter with the girls, and I eat crappy. My best piece of advice would be to get out of your own way and just do it. You can keep making excuses for as long as you want as to why you can’t do this, why you can’t make the changes needed, but in the end you just need to take the first step. Just start doing 1 thing different toward making yourself healthier and you will see changes. And figure out what works for you. Just because everyone you know is doing one thing and it works from them, does not mean it will work for you. Each person is different, so each diet and exercise regimen has to be different. As this incredible family faces another deployment, lets join together in encouraging them in their strength and courage all around. I am so blessed to have this family in my life and am daily encouraged by them! Thank you Whitsitt family for letting me be a part of your journey!